A Residential 35×70 Plot 50ft Road Face Lush green Margallah Hill view is available forSale. It is situated in fully developed CDA Sector G- 13/3,Islamabad. Its measuring area is 35×70 and it is ideal location Plot No.27, Street No.160. New Airport at just 10 mints drive from G-13 and Motorway at 3 mint drives. 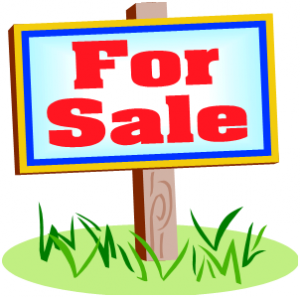 A Residential 35×70 Plot 70ft Road Pindi Face is available forSale. It is situated in fully developed CDA Sector G-13/3,Islamabad. Its measuring area is 35×70 and it is ideal location Plot No.40, Street No.169. New Airport at just 10 mints drive from G-13 and Motorway at 3 mint drives. A Residential 30×60 Plot 50ft Road Park Face Lush green Margallah Hill view is available forSale. It is situated in fully developed CDA Sector G-13/3,Islamabad. Its measuring area is 30×60 and it is ideal location Plot No.21, Street No.172. New Airport at just 10 mints drive from G-13 and Motorway at 3 mint drives. A Residential 30×60 Plot 50ftRoadParkFaceNewAirportview is available forSale. It is situated in fully developed CDA Sector G-13/3,Islamabad. Its measuring area is 30×60 and it is ideal location Plot No.7, Street No.172. New Airport at just 10 mints drive from G-13 and Motorway at 3 mint drives. A Residential30x60 Plot Main RoadNew Airport Face view is available forSale. It is situated in fully developed CDA Sector G-13/3,Islamabad. Its measuring area is 30×60 and it is ideal location. New Airport at just 10 mints drive from G-13 and Motorway at 3 mint drives. A Residential35x70 Plot Main RoadNew Airport Face view is available forSale. It is situated in fully developed CDA Sector G-13/3,Islamabad. Its measuring area is 35×70 and it is ideal location. New Airport at just 10 mints drive from G-13 and Motorway at 3 mint drives. A Residential 40×80 Plot North Service Road Face View of Lush green Margallah Hills is available forSale. It is situated in fully developed CDA Sector G-13/3,Islamabad. Its measuring area is 40×80 and it is ideal location. New Airport at just 10 mints drive from G-13 and Motorway at 3 mint drives. A Residential 40×80 Plot North Service Road Face View of Lush green Margallah Hills is available for Sale. It is situated in fully developed CDA Sector G-13/3, Islamabad. Its measuring area is 40×80 and it is ideal location. New Airport at just 10 mints drive from G-13 and Motorway at 3 mint drives. A Residential 40×80 Plot North Service Road Face View of Lush green Margallah Hills is available for Sale. It is situated in fully developed CDA Sector G-13/3, Islamabad. Its measuring area is 40×80 and it is ideal location Plot No.19, Street No.6. New Airport at just 10 mints drive from G-13 and Motorway at 3 mint drives. Posted in G-Sector, Plot G-13/1, Plot G-13/2, Plot G-13/3, Plot G-13/4 and tagged Plot G-13.